Capcom has confirmed plans to make a live-action Mega Man movie. The film—tentatively entitled Mega Man—will be written and directed by Henry Joost and Ariel Schulman, and is scheduled to be produced by Chernin Entertainment and Masi Oka, who some of you may remember portrayed Hiro in "save the cheerleader, save the world" superpower series, Heroes. 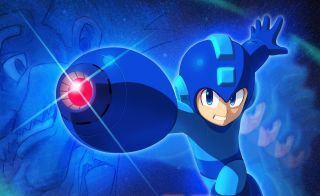 "Based on the influential and globally beloved Mega Man franchise, Capcom aims to appeal to a diverse audience, including not only game players but action movie fans as well, with an adaptation that maintains the world of the Mega Man games, while incorporating the grand production and entertainment value that Hollywood movies are known for," Capcom says in its press release. The timing of this announcement just so happens to coincide with the release of Mega Man 11, which hit PC on October 2 and is currently receiving "very positive" user reviews on Steam. Other Capcom IP Monster Hunter is also getting the big screen treatment, with a tale that "tells the story of two heroes who come from different worlds to defeat a shared danger, the powerful, deadly and magnificent monsters that inhabit the land". As yet, there are no release details for either project.